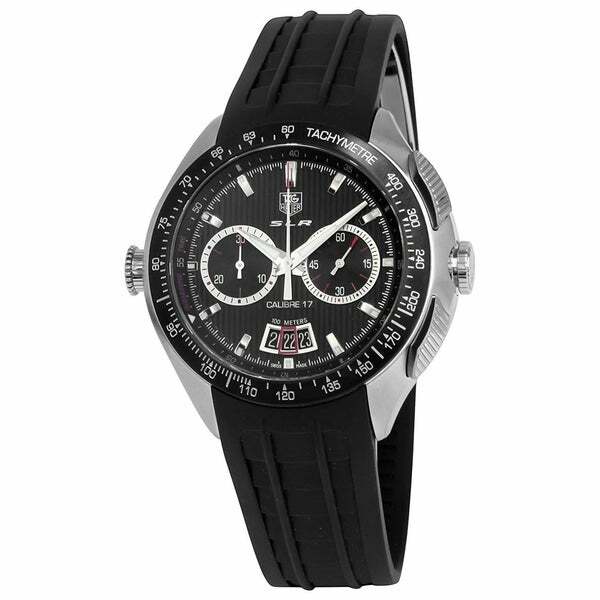 Tag Heuer's quality, style and functionality are evident in this sophisticated line of timepieces. This men's watch from the SLR Mercedes Benz collection features a black rubber strap and black chronograph automatic dial. "Does this model come with the slr box, paperwork, tags and warranty card? It is new correct?"